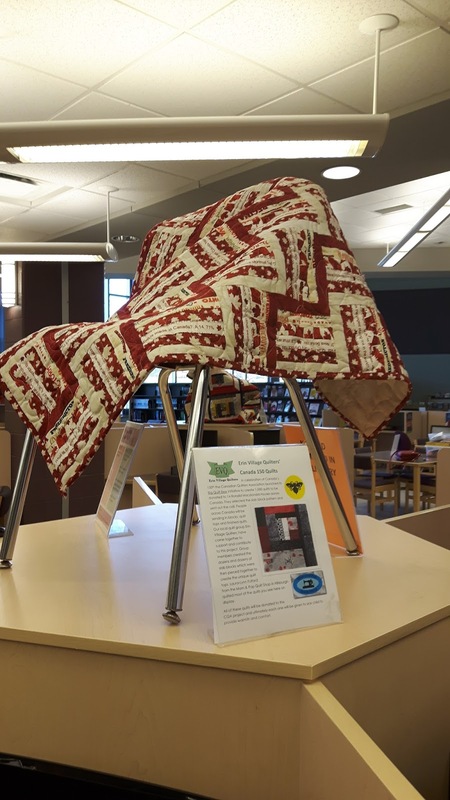 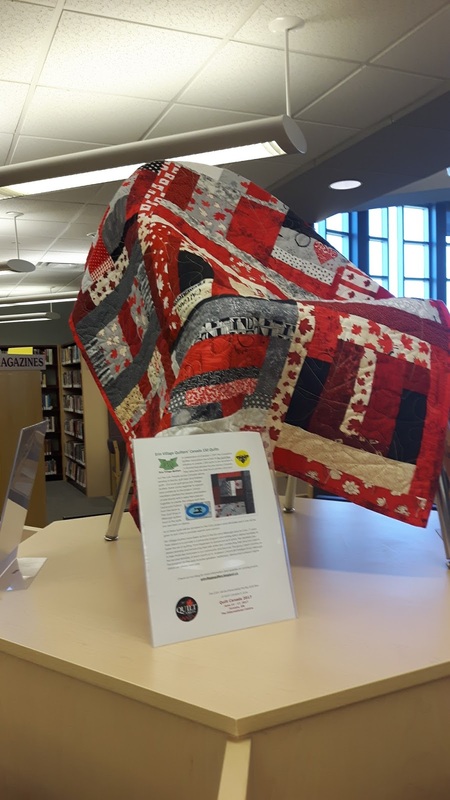 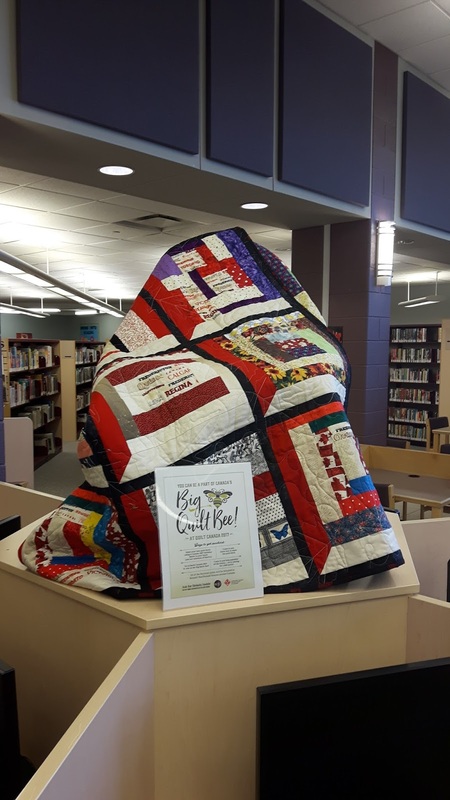 Erin Public Library displayed the quilts our Erin Village Quilters created. 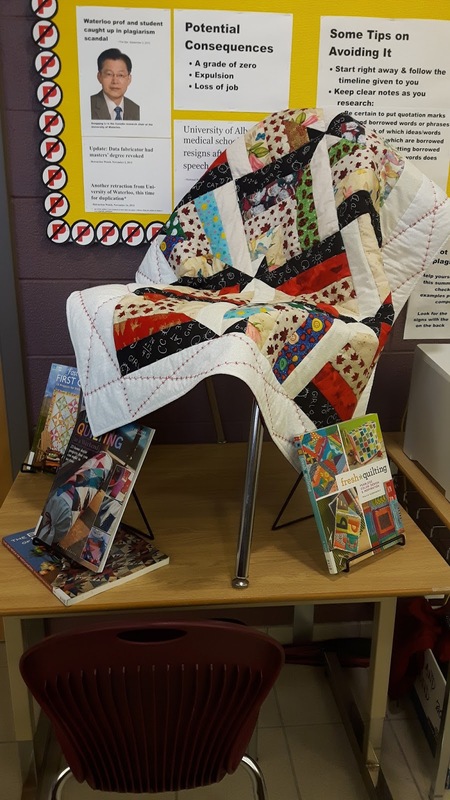 These quilts will be part of the CQA Canada 150 Project which will see over 1000 quilts donated to Ronald MacDonald Houses across Canada. 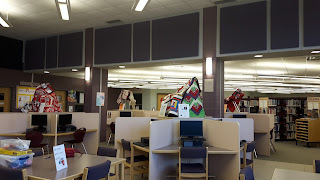 Special thanks to the Library Staff for setting up the displays.